Rainbow rose seeds do NOT exist, no matter how much the chinese sellers try to convince you they do!!.. 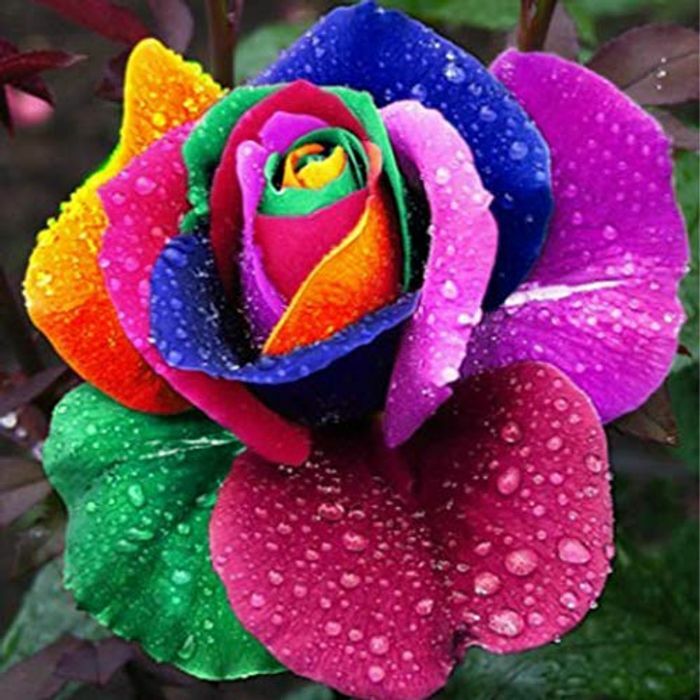 it is not possible to grow a rainbow rose from a seed, the only way achievable is to dye the the petals or split the stems and dip each end in dye! I can't believe how many people fall for this. Even if they are just single colours, they'll still look good in my garden. Philkinellman sorry to say but they will be single colours. I just find it really annoying how they are allowed to mislead customers into thinking they are getting what the seller is promising, also the fact that amazon even allow it on there in the first place. LittleLisaMarie It was actually the first time I'd hard of such a thing, I suppose it's a true saying, "If something seems to good to be true, it usually is." LittleLisaMarie fully agree. These sell on wish and are all the same sellers across the different platforms and none of the seeds germinate let alone anything else. Philkinellman don't get me wrong, they are beautiful. Just unfortunately not grown from a seed.. it's just a florists trick that has appeared to be quite popular the last year or so.. seems like that's the reason the chinese sellers are jumping on the bandwagon.. They are notorious for trying to rip people off as we all know, sadly amazon allow it to happen. Dublish I've read that that the seeds don't germinate too. I've reported them to Amazon on multiple occasions but they don't seem to care. LittleLisaMarie After reading into it, I thought I'd expire the deal as it's misleading, Thanks. Philkinellman I honestly didn't mean anything bad by it. these sellers can be very, very convincing, I have also been caught out in the past with a couple of things.